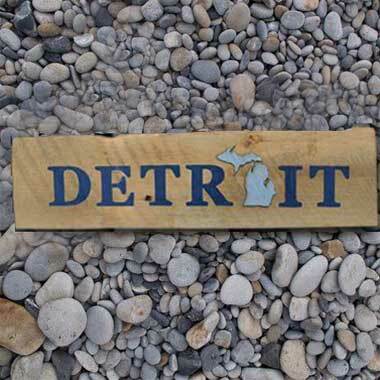 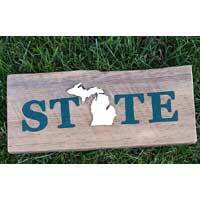 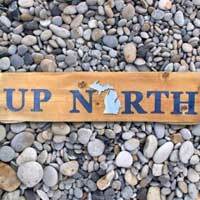 Repurposed painted Michigan barnwood sign with the “O” in the word Detroit replaced with a laser cut piece of wood in the shape of the state of Michigan. 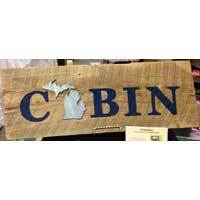 The barnwood board length is 19″ and the barnwood board height varies. 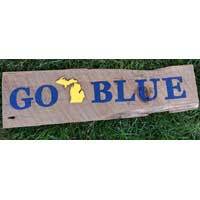 The Michigan graphic is 3 – 5 inches depending on the height of the board.